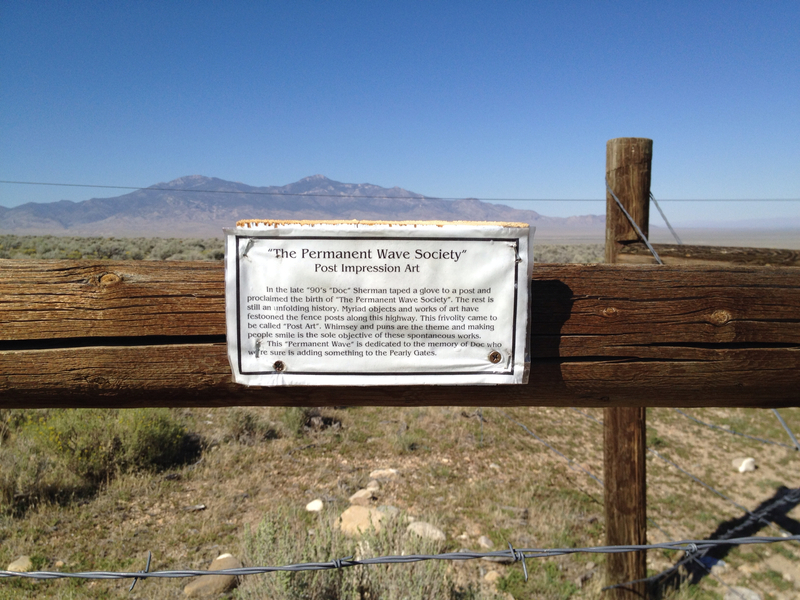 Next stop, Great Basin National park! My idea of Nevada was more akin to the world in Roadwarrior, but with less bandits and feral children. Dry, dust, desert. While it was all of these things, there is more. A certain charm of its own and the people who live here. 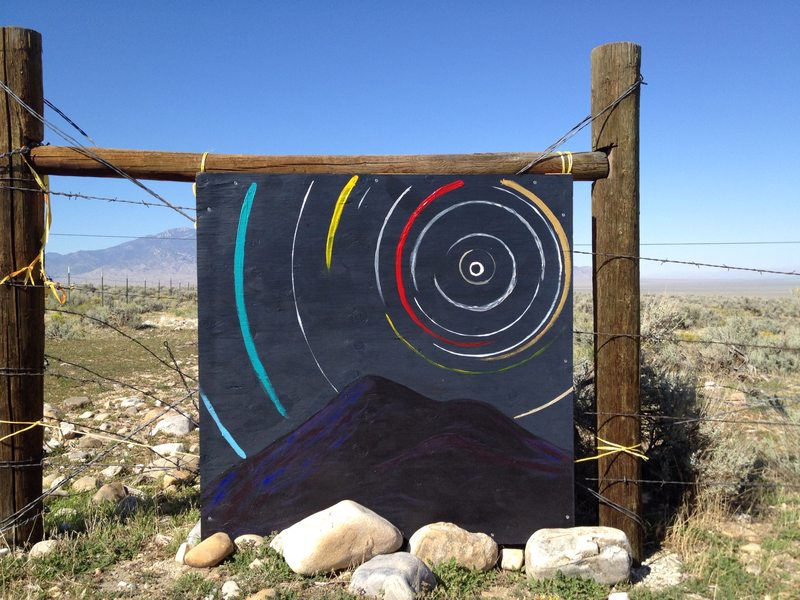 We loved this, we would never have pegged people living in the middle of nowhere in Nevada as quirky artists. We were intrigued by what else Nevada would have in store for us. 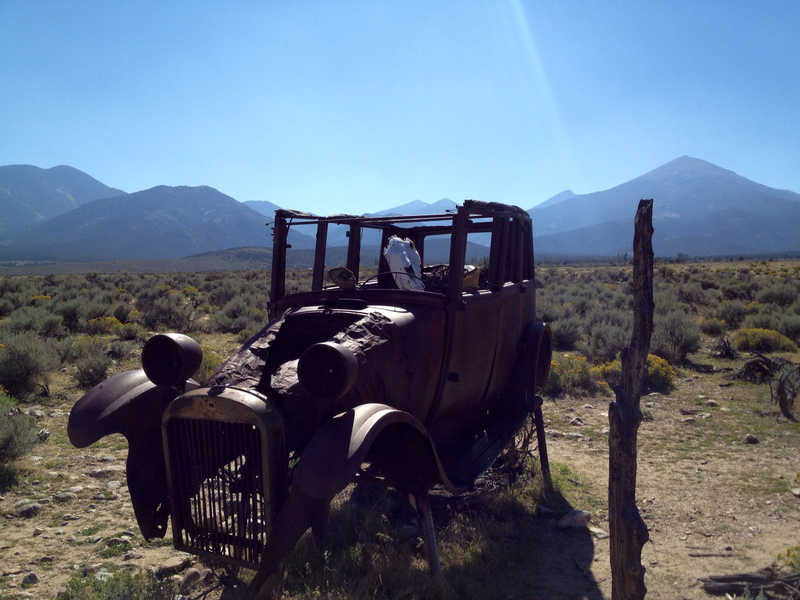 Like a horse skeleton driving an old rusted vehicle in the desert? We reached the park and were happy to discover some pretty great camp grounds, we were hoping to camp at one of the more primitive sites but found that they were under construction at the time and weren’t allowing campers. We ended up staying up top on the mountain there. We’d come back down tomorrow morning to explore the cave systems as well. The desert was so dry and hot, it didn’t even occur to me that the mountains would be heavily forested and downright cold. When we got up to the sites we found the most out of the way place to camp that we could, a few sites over from an earthroamer. (that thing was rad.) Chelsea and I decided to go for a run up to the peak of the mountain, which involved a Glacier and some of the oldest living things existing on this earth. 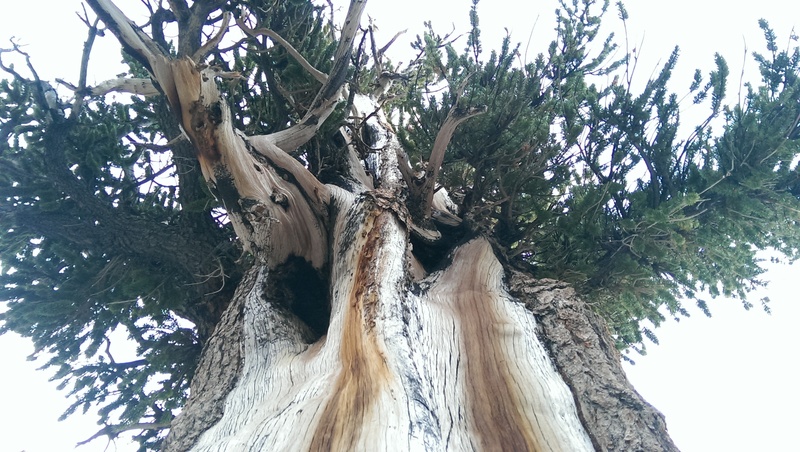 Say hello to the Bristlecone Pine. These things have been alive for thousands of years, the oldest of which is 5064 years old, and the oldest known non-clonal organism on earth. 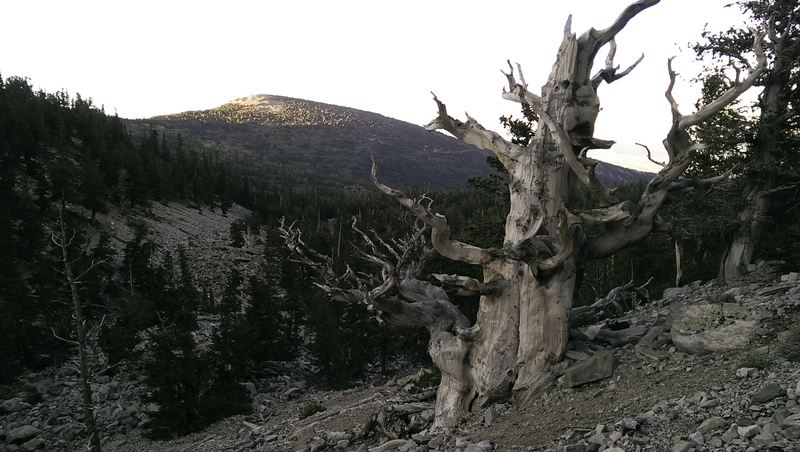 I can’t really describe the feeling you get sitting on top of a silent mountain with these ancients. Maybe I was just lightheaded from running at altitude, but it gave me a certain kind of mental peace. In the next post. We lose Locke, and explore caves.